For certain occupations, sports, and hobbies, eye safety can be a serious issue. If you are in need of eyewear to protect yourself during such activities, you can find safety glasses and goggles that are durable and possess other needed features, such as fog-resistance or side shields. While many frames can be on the fragile side, safety glasses have sturdy frames and polycarbonate lenses that are far more difficult to scratch or break. 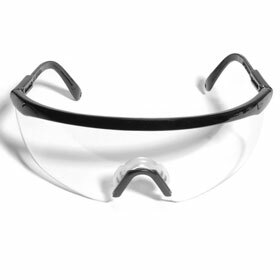 Safety glasses can drastically reduce the incidence of eye injuries. Not only will safety glasses help you to see better while doing your job or other activities, but they will also help you to protect a very important asset - your eyes.